Although it's a battle that probably goes unnoticed by the majority of retail buyers, the commercial cargo van competition is fierce and getting fiercer by the year. Winning over the business and fleet buyers is big business, and two of the heavy hitters are the Nissan NV and the 2017 Ford Transit. Let's take a look at how the 2017 Nissan NV compares against the Ford Transit in a head-to-head shoot-out. Don't let anyone tell you that the looks of a cargo van are not important to those who buy them, because that's simply not true. The 2017 Nissan NV is quite a unique vehicle in terms of its exterior styling--it looks like a pickup truck until you see it from the side or the back. The Nissan has a degree of ruggedness about its look that you just don't see with its rivals. 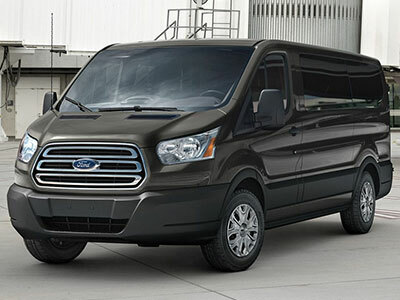 Though the Ford Transit is relatively new to American buyers, it's been dominating European cargo van sales for years. Unfortunately, its styling shows its age. Although the styling is contemporary, with the look of the Focus and Fiesta in the front, the Transit isn't as attractive as some earlier models were. We'll give the styling nod to the Nissan. 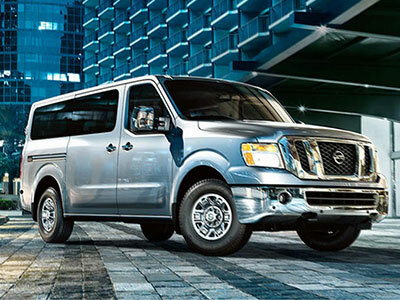 To haul lots of cargo around requires powerful and reliable engines, and the Nissan NV offers two to choose between. The standard engine is a 4.0-liter V-6 that develops a very capable 261 horsepower and 281 lb.-ft. of torque, while the more powerful option is a 375 horsepower and 387 lb.-ft. 5.6-liter V-8. The Ford Transit offers three different engines, which are a pair of V-6 gas units and a five-cylinder diesel. The 3.5-liter EcoBoost is the most powerful option with 310 horsepower, which is a lot less than the Nissan offers. It's good to have a diesel, but 185 horsepower is not much of a threat to the NV. The Nissan is the winner here. Capability is what cargo vans are all about, along with practicality and flexibility of course. The 2017 Nissan NV is capable of hauling a maximum payload of 3,700 pounds, and the maximum tow capacity is rated at an impressive 9,400 pounds. The Transit is quite a way behind the Nissan when it comes to how much it can tow, with the maximum for the 2017 Ford Transit at 7,500 pounds. Payload is a different matter though, and that's because the Ford can handle as much as 4,650 pounds. While we can see the merits of a larger payload, the dominating tow capacity gives the nod to Nissan. Maximum towing and hauling figures are important, but available cargo volume and the various dimensions are just as important, especially for businesses dealing with large, lighter objects or those needing specialized upfitting. The maximum cargo volume of a 2017 Nissan NV is 323.1 cu.-ft., and the maximum cargo length is 120 inches. The Ford Transit comes in quite a number of different configurations to suit a wide variety of applications. The maximum payload capacity is a massive 542.2 cu.-ft., and the maximum cargo length is an equally impressive 172.2 inches. This section is therefore a sizeable victory for the Ford. There's a lot to recommend about the 2017 Nissan NV, and a close look reveals it to be an impressive performer when put up against the considerably newer Ford Transit. The Ford probably has a wider overall appeal due to the extra cargo volume and the greater diversity of its various dimensions, but it's no match for the Nissan for those who need plenty of power. Add into the mix Nissan's well-deserved reputation for durability and reliability and the NV's great value pricing, and it's definitely our winner here.